Considered a staple in most parts of the world, wheat is a plant which is cultivated for the production of grain that is ground to make flour – the main ingredient found in breads, pastas and pastries. Canada is one of the largest producers of quality wheat in the world, with Ontario alone producing 2.5 million tons per year. Threats, such as diseases, could be devastating to the industry, but a research team at the University of Guelph is looking at ways in which advanced computing technologies can support natural and healthy methods for mitigating these risks. 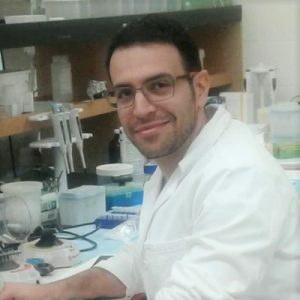 Associate professor Ali Navabi at the University of Guelph’s Department of Plant Agriculture, and his SOSCIP post-doctoral Fellow, Dr. Hamed (Soren) Seifi, are investigating different diseases that have the potential to wipe out wheat farms. Fusarium head blight (FHB) and stripe rust are both fungal diseases which can devastate wheat plants. 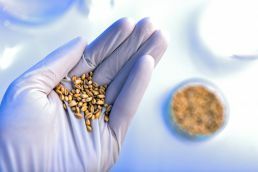 FHB, which has been around for decades, attacks the heads of the wheat plant, destroys the kernels with its toxin, and makes the rest of the grain yield toxic for humans and animals. Virulent strains of stripe rust have emerged as a recent threat that’s damaging Canadian wheat farms. Stripe rust is an airborne pathogen, often originating from southern wheat growing regions and the Pacific Northwest in the U.S. Weather and proximity contribute to pathogen spores finding their way north to Canadian farms. Traditionally, fungicides are used to treat and prevent these devastating diseases, but fungicides can be hazardous for humans, animals and the environment. The research team is hoping to better understand resistance mechanisms in wheat plants for a more natural, environmentally-friendly approach. “Plants have an immune system like us. It may not be as developed or as sophisticated, but they do have an immune system, which is effective at naturally combating diseases,” says Dr. Seifi. Dr. Seifi completed his PhD of applied biological sciences (molecular plant pathology) at Gent University in Belgium before moving to Canada to work as a plant pathology scientist at the University of Guelph, ON. He joined Professor Navabi’s research team in 2017 as a SOSCIP post-doctoral fellow. 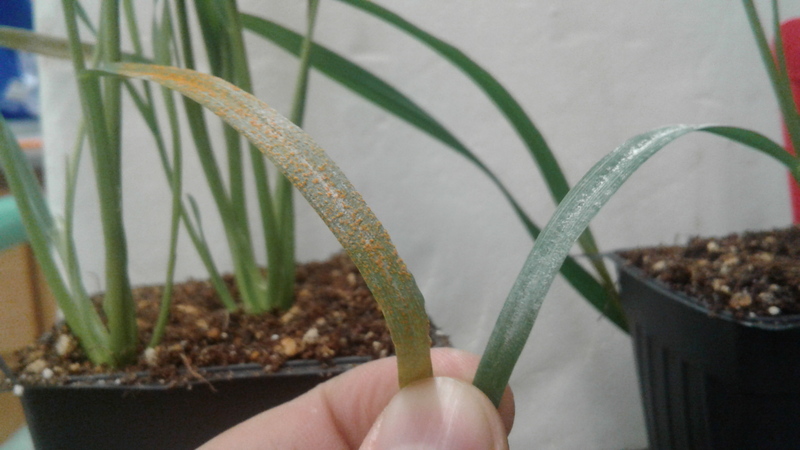 What is known is that there are promising plant resistance sources available against stripe rust and FHB diseases, but what is not known is how. The Avocet-YR15 wheat genotype, harboring the Yr15 resistance gene, are fully resistant to several virulent strains of stripe rust. Similarly, the AAC Tenacious variety is highly resistant to FHB. The research will identify effective molecular mechanisms controlling these resistance responses to support the existing breeding programs in the process of developing new cultivars, which can resist these deadly diseases. The project is in collaboration with the Grain Farmers of Ontario, an organization that represents Ontario’s 28,000 barley, corn oat, soybean and wheat farmers. The team is using SOSCIP’s Cloud Analytics Platform to perform RNA-sequencing on wheat plants, a process which involves high throughput sequencing of wheat genetic codes (i.e. messenger RNAs or mRNAs), followed by mapping against the genome sequence (i.e. DNA code) of wheat using advanced bioinformatics tools. By comparing both the resistant and susceptible cultivars, the team hopes to better understand their differences, ultimately detecting critical resistance pathways. But the genome of wheat is huge and even more complex than that of humans. The volume of data generated from understanding the genetic code of wheat plants is massive. Each sample comprises more than 300,000 different transcripts (i.e. mRNA sequences), amounting to 10 GB of data. Even then, each gene has thousands of possibilities. The research has made some promising headways. “We are starting to understand how these complex resistance responses work and we can use that information to supply existing marker-assisted breeding (MAB) programs and improve the disease resistance quality of existing commercial cultivars as well as introduce new ones in Ontario,” says Dr. Seifi. MAB refers to deploying molecular markers (i.e. DNA sequences) as a guide to efficiently transfer parts of the chromosome carrying the resistant genes from a resistant variety to the target susceptible variety using “natural” crossing methods. MAB is not to be confused with genetically-modified organisms (GMOs), in which the genetic makeup is modified and transferred in a laboratory. “With SOSCIP’s computer infrastructure, we have been able to generate initial results from the data through our experiments. We still need to conduct other analyses on these initial results to generate the final results.” The team is also conducting wet lab experiments that mimic infection of wheat plants in in multiple conditions, at which point the plants are inoculated and samples will be taken to compare the responses. The goal of downstream wet lab experiments is to confirm the data generated in the RNA-seq phase. “The future of research is finding that link between industry and academia in a more positive functioning and effective way – to find the mutual interest for both parties,” says Dr. Seifi.